1) Wash the Lima beans properly. Remove the tips of the beans and string them. Just pluck the tip of a bean with your hand, and then pull downward then thick thread comes away.Open the beans and make sure there are no insects or rotten seeds inside. 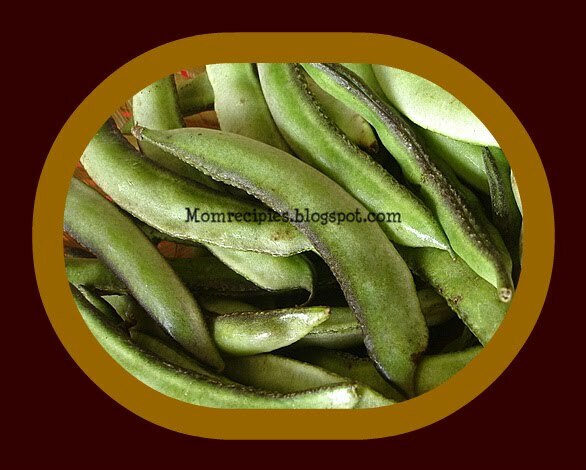 Then break the beans into pieces with your fingers or cut the beans using a sharp knife into small pieces. 2) Take a mixie and add the green chilies, coconut pieces and coriander seeds to it. Make a fine dry paste of these ingredients and keep it aside. 3) Heat the oil in a pan, add mustard seeds,cumin seeds and fry till they splutter. 4) Then add curry leaves, turmeric powder, and fry for a minute. 5) Then add the Lima beans and mix well.Add salt to the curry and mix well.Cover and cook for 3 minutes.Remove the lid and stir. 6) Then add the grounded paste to curry.Mix well till all the spices are nicely mixed with Lima beans.Add 1/2 to 1 cup water. 7) Cover and cook for 7-8 minutes till beans become soft . Don't overcook beans.Stir once and transfer it to the serving bowl. 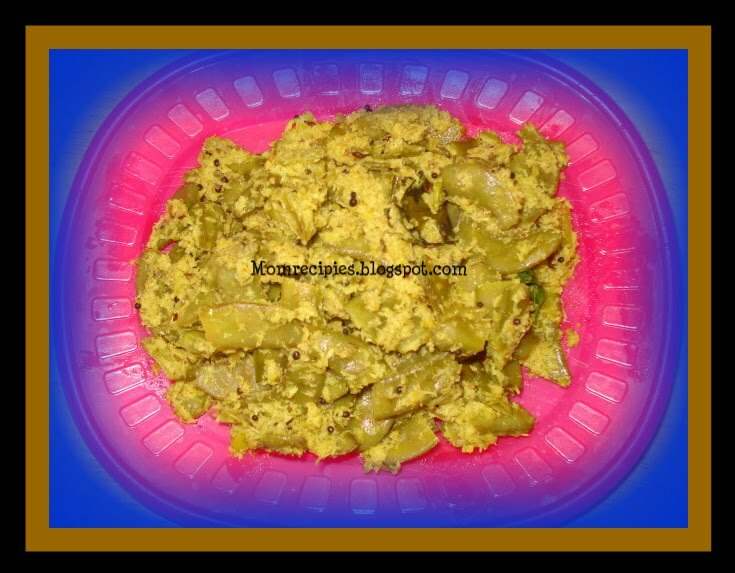 8) Serve it with chapathi or rice. i've always made poriyal (stir fry) with this. should try this curry version, sounds good! I have neve rmade anything with lima beans, looks so so good.